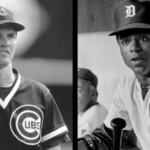 More than other sports, baseball has a long history of brothers and fathers and sons playing at the big league level. Some are legends, some are footnotes in history. Did you know Pete Rose had a son who played professional baseball? Or that Roberto Clemente’s sons played too? How about Larry Yount – Robin’s brother – ever heard of him? Probably not, because they didn’t become stars or even come close. Other families have interesting stories, like flaky former Red Sox left-hander Bill Lee. His grandad was an infielder in the Pacific Coast League in the 1930s, and his aunt was a pitcher in the All-American Girls Professional Baseball League (the ladies who were immortalized in the wonderful movie, A League of Their Own). In making my list of the best baseball families, I looked for: balance (how good were all members of the family, rather than just one great player and a brother who was pretty average or terrible – like Hank Aaron and brother Tommie); strength of genes (how many generations or siblings played at the professional level); importance (how much impact did the family members have on historic events in baseball history, etc. ), and honors (how many awards did the family receive, are any of the family members in the Hall of Fame? etc.). The wrong brother is in the Hall of Fame in this family. Rick was a very solid catcher for nearly two decades in the big leagues, but he couldn’t hit his way out of a paper sack. He was inducted into the Hall of Fame because of his shining defensive skills behind the dish. Brother Wes was one of the best pitchers of the 1930s, a big winner with a tough fastball. He won 20 games six times, and he did it for teams that weren’t that great. Wes is frequently included on the Veterans Committee list for consideration for the Hall of Fame, but he hasn’t gotten his due yet. These two were the best brother duo to ever form a battery: for four seasons with the Boston Red Sox (1934-1937), Rick caught Wes. Ironically, though Rick was the position player, Wes was the better hitter. Rick hit 28 homers in more than 6,000 at-bats, while younger brother Wes hit 38 homers as a pitcher in about 1,100 trips to the plate! Like the Alou’s, the Molina’s all played the same position, the demanding role of catcher. Born in 1974, Bengie is the oldest of the brothers from Puerto Ric0. He debuted with the Angels in 1998 and spent eight years with the team, winning two Gold Gloves. Next in line in Jose, born in 1975, who was Bengie’s teammate with the Halos for seven seasons and had a 15-year career as a backup catcher. The youngest is Yadier, born in 1982 and an eight-time All-Star catcher for the Cardinals. Yadier has won eight Gold Gloves and is one of the best catchers of his generation. All three Molina’s won a World Series title behind the plate: Bengie and Jose with the Angels in 2002; Jose again in 2009 as a member of the Yankees; and Yadier twice with St. Louis, in 2006 and 2011. Big props to this family for not two, not three, not four – but FIVE brothers who made it to the major leagues. They don’t rank higher because only one of them (Big Ed) was very good, but he was great. In the late 1890s and early years of the 20th century, Ed Delahanty was one of the best hitters in the game. He hit .400 three times for the Phillies, and even though back then the game was a lot different and batting averages aren’t what they are now, that was pretty damn good. Jim, an infielder, was the best of the rest, he spent 13 seasons in the majors. Frank, Joe, and Tom were mediocre at best. In 1903, Ed was hitting .333 in July when he got drunk on a train and was asked to leave. He stumbled off the edge of the tracks on a bridge and his body was found at the bottom of Niagara Falls the next day, victim of a grave accident or perhaps murdered. He hit .346 in his career and was elected to the Baseball Hall of Fame in 1945. This is the best of the three generation families in baseball history. Others are the Bell’s (Gus, Buddy, and David), and the Hairston’s (Sam, Jerry Sr., John, Jerry Jr., and Scott). Ray Boone was a very good third baseman in the 1950s, making two All-Star teams for the Detroit Tigers. His son Bob was one of the best defensive catchers in baseball history and later a big league manager. Bob’s sons Aaron and Bret each became infielders in the 1990s, famous for hitting lots of homers (in the case of Bret) and famous homers (in the case of Aaron). All four of the men were All-Stars. The only brothers who were each elected to the Hall of Fame as players, the Waner’s shared a lot. They were teammates with the Pittsburgh Pirates from 1926-1940, and again with the Brooklyn Dodgers in 1944. That’s 16 seasons playing in the outfield next to each other – Paul in right and Lloyd in center. They were nicknamed “Big Poison” (Paul) and Little Poison (Lloyd), easily the coolest nicknames bestowed on brothers in major league history. Waner was the better player by far – he won three batting titles and was an excellent performer in many respects. Lloyd was sort of the Brett Butler of his era. In 1963 the Giants had Felipe, Matty, and rookie Jesus in their outfield together for a handful of games, the only time three brothers have played the outfield at the same time for the same team. Felipe was the best of the three, but all of them had long and successful careers. Matty won a batting title and had a pair of 200-hit seasons in his 15-year career; Felipe had two 200-hit seasons of his own and hit more than 200 homers in his 17 seasons; and Jesus carved a 16-year career as a light-hitting but dependable outfielder. Felipe’s son Moises may have been better than all of them – he played 17 seasons, hit 332 home runs, and batted .303 with more than 2,100 hits. He went into the family business – he was an outfielder too. Years before the Alous there were the DiMaggio’s, three ball-playing brothers from the San Francisco Bay Area. Joe, of course, is one of the greatest players in history, having etched his name in history with batting titles, World Series championships with the New York Yankees, and his famous 56-game hitting streak in 1941. At the same time, however, Dominic and Vince were both All-Star center fielders as well. Dom was a great hitter, serving as the leadoff man for the Boston Red Sox in the 1940s and early 1950s, hitting .298 and playing phenomenal defense. According to some witnesses, Vince was the best of the three with the glove, but he wasn’t on par with his brothers as a hitter. He was most famous for striking out a lot. Joe is a Hall of Famer, and Dom still gets support for Cooperstown but hasn’t gotten in yet. Joe holds the all-time MLB hitting streak record and Dom holds the Red Sox hitting streak record (34 games). 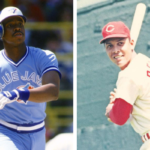 If sheer athletic talent were the criteria, Bobby and Barry Bonds would rank at the top of our list. Each were thoroughbreds who could run the bases and chase the ball down in the outfield. Each had tremendous power (Bobby’s was natural, and Barry enhanced his a bit). Barry was a better ballplayer than his dad, which is saying a lot, because Bobby was once dubbed “The Next Willie Mays.” The only family to have two members with at least 450 stolen bases, and also the only familia to have a pair with at least 300 homers. Did you know Reggie Jackson is Barry’s cousin? Papa Niekro obviously taught his sons how to a throw a knuckleball really well. Phil went on to win 316 games using the dancing pitch, while little brother Joe won 221. Thus they edge the Perry’s (Gaylord and Jim) for most wins by brothers in MLB history. Between them, Phil and Joe had five 20-win seasons (three for Phil and two for Joe). The two brothers, who were extremely close, pitched together for parts of three seasons (1973-1974 Braves and 1985 Yankees). Joe’s son Lance played four seasons as a first baseman with the San Francisco Giants. Word is, Lance could throw a pretty good knuckleball too. After he hit his, I was watching him run the bases. When he crossed home plate, he said ‘That’s how you do it son!’ and went back to the dugout. I looked at him and then after I hit mine, I couldn’t wait to get to the dugout and say ‘That’s how you do it Dad!’ He waited until after I congratulated everyone else, then he gave me a hug and said ‘You did it’. That’s something that will never be done again. Everyone else in the dugout was shocked and excited to see history. Hey Trevor, at the time this was originally written, I stand by keeping the Molina’s off the list. But, I have squeezed them in now. – Thanks for reading.